“Commercial Schedule” means the schedule setting out the principal commercial terms of this Contract to which these Conditions are annexed. “Conversion Charges” means the charges payable by the Customer to LCS Container Services in respect of the Conversion Works, being those charges set out in the Commercial Schedule and the Specification. “Conversion Works” means the conversion works set out in the Specification. “Container” means the container specified in the Commercial Schedule and the Specification]. “Contract” means this contract between LCS Container Services and the Customer for the sale of the Container, comprising the Commercial Schedule, the Conditions, the Specification and any other documentation expressly stated in the Commercial Schedule to form part of this Contract but excluding any other terms and conditions. “Customer” means the company, firm, person, corporation or public authority which is purchasing the Container from LCS Container Services specified in the Commercial Schedule and includes their successors or personal representatives. “Delivery” means unloading the Container at the Site. “Delivery Charges” means the charges payable by the Customer to LCS Container Services in respect of the delivery of the Container, being those charges set out in the Commercial Schedule and the Specification and any other charges relating to delivery payable in accordance with the Conditions. “Delivery Date” means the estimated date for delivery specified in the Commercial Schedule. “Deposit” means the deposit specified in the Commercial Schedule payable on the date of this Contract or any other date agreed on. 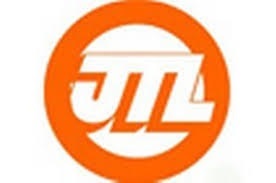 “LCS Container Services” means J.T. Leavesley (Alrewas) Limited (company number: 00931247) whose registered office is at Ryknield House, Alrewas, Burton On Trent, Staffordshire, DE13 7AB, operating through the LCS Container Services Division. “Price” means the price specified in the Commercial Schedule. “Site” means the site to which the Container is delivered (or to be delivered) on the Customer’s instructions, being the site specified in the Commercial Schedule. LCS Container Services will sell the Container to the Customer in accordance with this Contract. The legal and beneficial ownership of the Container shall at all times remain exclusively with LCS Container Services and the Customer shall not acquire any rights of ownership therein until all monies due to LCS Container Services under this Contract are paid in full. The Customer agrees to pay the Price, and any Delivery and Conversion Charges without deduction or set off in accordance with this Contract, which shall be paid by direct credit transfer to such bank account as LCS Container Services may nominate in writing to the Customer. Time of payment is of the essence. If payment is not made when due LCS Container Services shall be entitled to charge interest on the overdue amount at four per cent above the prevailing base rate at HSBC Bank Plc calculated on a daily basis (‘the Default Rate’). The Customer shall also be liable to pay any charges incurred by LCS Container Services in the recovery of the overdue amount. These remedies shall be without prejudice to any other rights and remedies available to LCS Container Services. If a Deposit is specified in the Commercial Schedule it is due for payment in cleared funds on the date of this Contract or, if specified, on the date set out in the Commercial Schedule, in full without deduction or set off. LCS Container Services shall not be liable to commence work on the Container until the Deposit has been received from the Customer. Signature of this Contract by the Customer constitutes complete approval of the Specification for all purposes of the Contract. It shall be the Customer’s responsibility to ensure that the Specification meets the Customer’s requirements in relation to the purchase of the Container. LCS Container Services reserves the right to make any changes in the Specification of the Container which are required to conform to any applicable statutory, legislative or other requirements relevant to the sale of the Container or, where the Container is supplied to the standard specification of LCS Container Services, which do not materially affect their quality or performance. Specifications drawings data literature and statements as to dimensions suitability performance or otherwise issued by LCS Container Services in connection with the Container are offered in good faith but are intended to be approximate only and the Container is supplied subject to no conditions nor shall it carry any guarantee or warranty as to dimensions quality, fitness, performance or suitability. Any times for Delivery indicated in the Commercial Schedule or the Specification is an estimate only and is not guaranteed. The Customer hereby acknowledges that time of Delivery shall not be of the essence of this Contract. The Customer shall have no right to damages or to cancel this Contract for failure for any cause to meet any Delivery time stated. The Delivery Date shall in every case be dependent upon prompt receipt of all necessary information, final instructions or approvals and delivery details from the Customer in writing,. Any (i) alterations by the Customer in relation to the Specification or (ii) failure by the Customer to comply with any obligations on its part to facilitate delivery of the Container may result in delay in Delivery and may result in additional charges. The Customer shall unless otherwise stated in the Specification and at its own expense provide suitable foundations for the Container, such foundations to conform to the Specification or any subsequent notification or instruction provided by LCS Container Services to the Customer in relation to the requirements for foundations. The Customer shall provide adequate and unrestricted access to the Site for delivery and unloading of the Container. The Customer shall be liable to pay LCS Container Services such sums by way of additional charges as LCS Container Services certifies is due by virtue of inadequate and restricted access to the Site. The Specification assumes that the Site is capable of accepting large vehicles and heavy mobile cranes, and any consequential loss or damage arising from use of the said vehicles and/or cranes will not be the responsibility of LCS Container Services. LCS Container Services cannot be held responsible for any underground structures, cables, drains etc not clearly disclosed and or identified by the Customer and expressly referred to in the Specification. The Customer is therefore completely responsible for ensuring a complete safe access and egress and suitable ground conditions, to comply with all aspects of safe working practices, and all other obligations to comply fully with the risk assessment documents. Unless expressly stated in the Specification, LCS Container Services is not responsible for providing “Trackway” or similar ancillary products (such as crane support pads) and or the making good of any existing external surface or paving damaged by the delivery vehicles or cranes, and also excludes any damages to services. Where any variation in the provision of craneage arises (whether as a result of weather conditions, safety considerations or any other factor) then any additional costs incurred by LCS Container Services, will be chargeable to the Customer by way of additional charges, which shall be payable within 30 days of receipt of LCS Container Services’ invoice therefor, in addition to the Deposit (where applicable), Conversion Charges (where applicable), and the Price. Foundations, all forms of external paving, external plinths, access ramps, steps and fire escape facilities are excluded Price contained in the Specification unless expressly stated in the Specification to be included. LCS Container Services cannot be responsible for abnormal ground conditions. The Customer authorises LCS Container Services to accept the signature on delivery of the Container of any person reasonably holding themselves out to be the Customer’s representative whether such person be authorised or not. LCS Container Services shall be entitled to terminate this Contract upon giving the Customer five working days notice in writing of its intention to do so. LCS Container Services shall accept no liability for any delay, cost or other liability arising as a result of any default on the part of either the Customer or any subcontractor engaged by the Customer for the purposes of Delivery. be free from material defects in material and workmanship. LCS Container Services shall at its discretion, either carry out the necessary adjustment, repair or replacement on Site or arrange for the removal of the Container or part or parts thereof to LCS Container Services’ works for adjustment, repair or replacement as it sees fit. the Container differs from the Specification as a result of changes made to ensure they comply with applicable statutory or regulatory standards. The Customer fails to comply with clause 7.2.1 or 7.2.2. Except as provided in this clause 7, LCS Container Services shall have no liability to the Customer in respect of the failure to comply with the warranty set out in clause 7.1. The terms of these Conditions shall apply to any repaired or replacement parts supplied by LCS Container Services. The Customer has the overall responsibility for procuring planning permission. If the Customer instructs LCS Container Services to proceed to delivery of the Container without all requisite planning permissions having been obtained, then such delivery is entirely at the Customer’s risk and without liability on the part of LCS Container Services. give LCS Container Services such information relating to the Container as LCS Container Services may require from time to time. any representation, statement or tortious act or omission (including negligence) arising under or in connection with this Contract. special, indirect or consequential damage or loss suffered by the Customer that arises under or in connection with this Contract. Without prejudice to clause 10.2 or clause 10.3, LCS Container Services’ total liability arising under or in connection with this Contract, whether arising in contract, tort (including negligence) or restitution, or for breach of statutory duty or misrepresentation, or otherwise, shall be limited to an amount equal to the Price. then, in any such case, LCS Container Services shall be entitled to treat this Contract as being at an end and shall not be obliged to deliver the Container. Without affecting any other right or remedy available to it, LCS Container Services may suspend any Conversion Works and Delivery of the Container if the Customer fails to pay any amount due under the Contract on the due date for payment, the Customer becomes subject to any of the events listed in clause 11.1.2 to clause 11.1.3, or LCS Container Services reasonably believes that the Customer is about to become subject to any of them. Unless expressly stated in the Specification (and priced accordingly), the Price, and any other sums payable under the Contract are provided on the basis that the Container and the components used in the Container itself, and in any fixtures, fittings or other products incorporated as part of the supply will or may have been subject to prior use. This enables LCS Container Services to provide the Container on a cost effective basis to the Customer. Where the Customer requires the Container and associated products to be supplied on an entirely new basis, it is the Customer’s responsibility to ensure that the Specification state this, which will be reflected in the price payable under the Contract by the Customer. LCS Container Services retains the right to affix a mark or plate on the Container identifying it as the property of LCS Container Services and the Customer shall not remove, deface or cover up the same until all monies due to LCS Container Services under this Contract have been paid. The Customer must ensure that everyone who uses the Container is properly instructed on how to use it safely and correctly, and that they have all the instructions that have been supplied. The Customer is solely responsible for applying for, obtaining and complying with the obligations imposed by any Act of Parliament statutory instrument statutory regulations and all third party rights in relation to the use of the Container including but without prejudice to the generality of the foregoing the Container Regulations Acts and all obligations and third party rights relating to the purposes for which the Container is used or to its condition, delivery, sitting or removal. The Customer shall indemnify LCS Container Services in full for all costs damages or losses howsoever caused arising out of or connected with the failure by the Customer to comply with any such statutory requirements. Any failure by LCS Container Services to enforce any or all of these Conditions shall not amount to or be interpreted as a waiver of any of its rights. If LCS Container Services is prevented, hindered or delayed in or from performing any of its obligations under this agreement by a Force Majeure Event, LCS Container Services shall not be in breach of this agreement or otherwise liable for any such failure or delay in the performance of such obligations. The time for performance of such obligations shall be extended accordingly. The copyright in drawings data and literature relating to the Container and LCS Container Services’ goods and services shall remain the property of LCS Container Services and (where marked as or otherwise indicated to be confidential) such drawings data and literature and LCS Container Services manufacturing and operating techniques shall not be disclosed or used except necessarily for the purpose of application and use by the Customer of the Container. email (in PDF, JPEG or other agreed format), shall take effect as delivery of an executed counterpart of this Contract. If either method of delivery is adopted, without prejudice to the validity of the Contract thus made, each party shall provide the others with the original of such counterpart as soon as reasonably possible thereafter. The express terms of this Contract and these Conditions shall govern this Contract to the exclusion of any other terms and conditions purported to be specified or incorporated by the Customer. No variation to this Contract or these Conditions shall be binding unless agreed in writing between the authorised representatives of the Customer and LCS Container Services. The employees or agents of LCS Container Services are not authorised to make any representations concerning the Container unless expressly set out in this Contract. In entering into this Contract, the Customer acknowledges that it does not rely on, and waives any claim for breach of, any such representations which are not expressly set out in this Contract. These conditions shall be interpreted without reference to their headings. The Contract and these Conditions shall be governed by the construed in accordance with English Law. The Customer irrevocably submits to the exclusive jurisdiction of the English Courts.